Showing recent results 1951 - 1965 of 1970 products found. 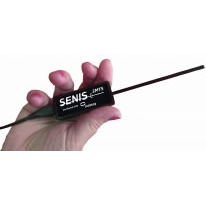 3MTS is the USB handheld Teslameter/Gaussmeter developed in cooperation with SENIS’ partner company Matesy. The 3MTS incorporates a fully integrated 3-axis Hall Probe, which is integrated in a specially designed carbon-fiber holder to provide the mechanical protection of the probe. The probe holder is 4mmwide and only 1mm thick to allow a measurement of the magnetic field in narrow air gaps. The Hall probe is connected to a compact and light electronic module, providing the measured signalconditioning; the 12bit AD conversion; the device calibration; and an USB connection to the host computer. The Hall probe on-chip temperature sensor allows a temperature compensated output signal for each three magnetic field components (Bx, By and Bz).The easy-to-use Teslameter software running on a MS Windows computer, tablet or smartphone is used for the data acquisition, Teslameter power supply and control and for measured data visualization. The measured data are visualized in numerical andgraphical colored displays, allowing an easy readability and intuitive setup of alarm triggers, hold function and measured data storage. The total value of the magnetic field, as well as all three components of the magnetic field and the probe temperature aredisplayed. In addition, the min/max values of the magnetic field components can be presented. 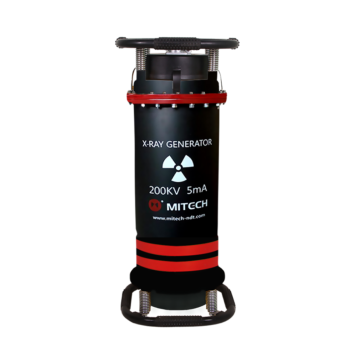 X ray generator is a portable X-ray flaw detector for X ray nondestructive testing, it uses the the difference of degree of absorption to material thickness to detect the internal defects of materials. The detector has the advantages of small size, light weight, easy-carry, simple operation, especially suitable for cooperatively working with power generation units in various harsh environments ; film material can directly display the size and shape of internal defects in the workpiece , the defects image reflected on the film are true and clear and it can be long-term preserved; Without special requirements to the surface roughness of the workpiece . 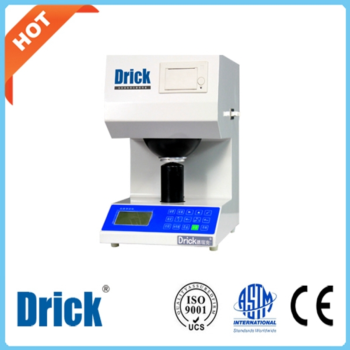 the effect of material grain size has little effect on the test results, applied to the internal defect detection of various materials. 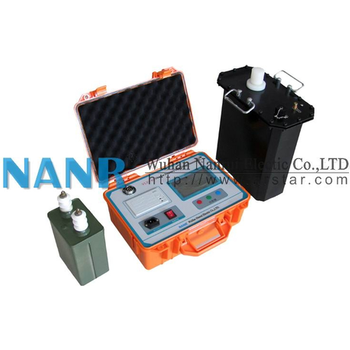 With strong anti-interference ability, good stability, reliable operation, it has obvious advantages in the construction and high-altitude operations, is widely used in shipbuilding, machinery manufacturing, aviation, railway, pressure vessels, boilers, oil, Chemical industry, national defense industry and other industries, is the ideal equipment for nondestructive testing. 63000 Series - Chroma ATE Inc. 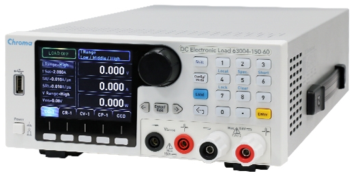 The 63000 Series programmable DC electronic loads are reliable, precision instruments primarily designed to test switching power suppl ies, A/D power suppl ies, power electronic components, adapters, 3C batteries and chargers. Its maximum 350W rated power makes it suitable for testing numerous types of lower power devices. The 63000 Series offers models in two operating voltages 150V models, with 250W and 350W power levels up to 60A in a single unit. Their compact and light weight design make these loads easy to move around which is ideal for R&D and design validation. Each model of the 63000 Series has unique user-def ined waveform (UDW) funct ion capable of simulating real-world custom waveforms. In addition, a data storage function has been built in for saving and recalling up to 100 stored settings at any time. For automated testing, these save and recall functions can save a great deal of time. 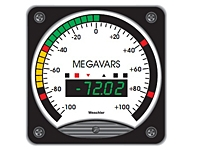 The 63000 Series has 3 power ranges that can precisely measure the voltage and current in real time. Since short circuit testing is a critical test item, the 63000 provides short circuit simulation to effectively address application demands for power and automated testing. CS-8610 - Wuxi Tianmu Instrument Technology Co., Ltd.
1. Convenient, practical and reliable: unique combustion device, equipped with infrared detection system, direct connection, remote control operation.2 , patented burner design (using utility model patent technology)The burner electrode upgrading system adopts a spring structure, the electrode adjustment is convenient, and the double sealing ring guarantee the pressure balance in the furnace cavity without tempering.3 , to ensure accurate measurement results◆Using low-noise, high-sensitivity, high-stability pyroelectric infrared detectors.◆Specially-made new platinum infrared light source, continuous heating and high spectral efficiency.The modular design of the whole machine, the electronic circuit is highly integrated, which improves the reliability of the instrument.◆Industrial-grade integrated linear module power supply, stable output, no fault.◆The infrared detection part and the combustion furnace are connected by optical fiber, and cooperate with multi-level concealed isolation circuit to completely eliminate arc interference.◆Double filter device to reduce the impact of dust on the analysis results.4 , electronic balance is not quantitative sample: you can choose different brands of electronic balance, automatic online, to achieve non-quantitative weighing. 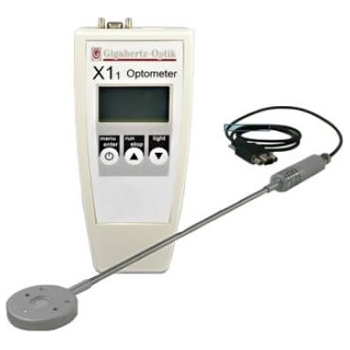 The X1-1 radiometer from Gigahertz-Optik features an RCH-116-4 detector and is ideal for measurement of the irradiance of high power LEDs in the UV-A and blue light range. The device can accurately measure irradiance levels of up to 40,000 mW/cm². One of the outstanding features of the RCH-116-4 detector is its proven concept of a passive radiation absorber coupled to a UV sensor. This provides stability even in high temperature and intense UV radiation environments. In addition to the passive radiation absorber, the device also has a cosine-corrected field of view. The sensor’s housing also serves as a handle. The battery-powered X1-1 optometer supports a usable dynamic range from less than 1 mW/cm² to 40,000 mW/cm² thanks to its high-end signal amplifier. It can be used to perform precise measurements of up to 5 standard LED wavelengths for which the detector was calibrated for active irradiance. 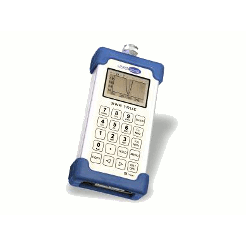 In addition to the CW measurement function, the device also has a dose measurement function. 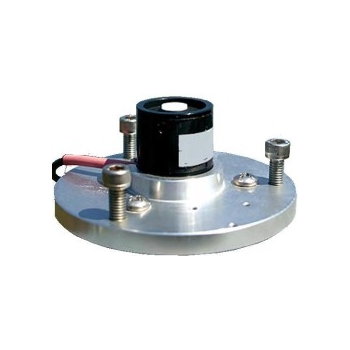 The radiometer can be used with other detectors from the RCH series. e.g. for gas discharge lamps. Remote control of the device is possible via its user software and a software development kit is offered for integration of the device in the user’s own software. 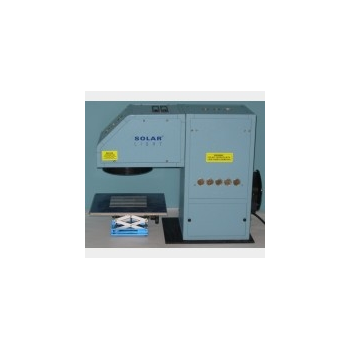 Solar Light offers 3 ranges of Solar Simulator products that satisfy the wide range of applications and markets where these products are used. The first range is the small laboratory models, the 16S range. These are used by education and research facilities, maybe pilot plants to set up, to demonstrate and prove the use of a solar simulator to produce UV radiation for such effects as fade testing, degradation testing, as well as sunscreen protection testing and so on. 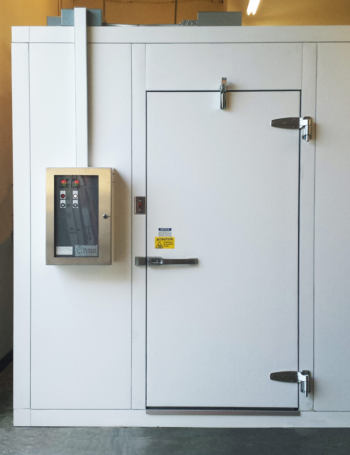 Each 16S solar simulator can output several times the UV level of natural sunlight, which enables accelerated testing to be carried out, saving time. All models comply with the prevailing standards and protocols for the particular testing they are being used for. For example, in clinical studies with sunscreens, they comply with the ISO standards, FDA and COLIPA. For materials testing, they comply with relevant ASTM, ISO and MIL standards. The 16S Simulators are also available with a full Air Mass 1.5 spectral output, which closely follows the solar spectrum and complies with the ASTM standards for Class A spectral match. This enables controlled research for photovoltaic testing and solar panel research. 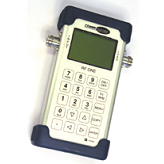 SWR True Antenna Analyzer is a versatile analyzer covering all major communication bands from 30MHz to 2700MHz. The SWR True will analyze antennas and cables. Measurements are represented graphically as VSWR or Return Loss plots. The built in PLL synthesized generator offers a superior accuracy with small step size. The internal operating system controls measurement, display and the I/Os allowing serial communication to PC, USB to memory stick and USB Serial communication. The I/O options are used to write plots to either memory sticks or to a connected PC, the I/Os can also be used to operate the instrument, giving commands and receiving data. For documentation reference the instrument has a real time clock. Multilayer menus are used to setup and control the operation of parameters. The SWR True instrument is small, handy and light weight battery operated with more than 6 hours of continuous operation on the internal NiMh cells. Feature with XML data handling and application viewer is included. Accessory kit with soft carrying bag, car charger and coax adapters for standard types. VLF Ultra-low Frequency High Voltage Generator combines the modern digital frequency advanced technology, uses computer control, boost, buck and measurement, automatical full protection, and in the process can automatically boost can carry a manual intervention in the process of automatical boosting. Since all with electronic, is small and light, large-screen LCD displayed, clear and intuitive, printer out testing report. The Design indicators is in full compliance "special test equipment electrical equipment General technical conditions, Part 4: ultra-low frequency high voltage generator general technical conditions" power industry standard, easy to use. Nowadays home and abroad adopted mechanical approach to produce VLF modulation and demodulation to generate signal, so there is no standard sine waveform, and measurement error is large, high-voltage part with a spark discharge, heavy equipment, and the two and four-quadrants of sine wave, need large power high voltage resistance to discharge and sharp, the total total power consumption is very large. The VLF Ultra-low Frequency High Voltage Generator can overcome these shortcomings. DRK103C - Shandong Drick Instruments Co., Ltd.
(1)5 inch TFT color LCD touch screen, the operation is more humanized, new users can be mastered in a short period of time using the method. (2)Simulation of D65 lighting lighting, using CIE1964 complementary color system and CIE1976 (L*a*b*) color space color difference formula. (3)The motherboard brand new design, using the latest technology, CPU uses 32 bits ARM processor,improve the processing speed, the calculated data is more accurate and rapid electromechanical integration design, abandon cumbersome testing process of the artificial hand wheel is rotated, the real implementation of the test program, a determination of the accurate and efficient. (4)Using d/o lighting and observation geometry, diffuse ball diameter 150mm, diameter of the testing hole is 25mm. (5) A light absorber, eliminate the effect of specular reflection. (6)Add printer and imported thermal printer, without the use of ink and color, no noise when working, fast printing speed. (7) Reference sample can be physical, but also for data,? Can store up to ten only memory reference information. 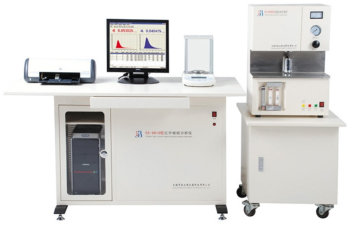 (8) Has the memory function, even if the long-term shutdown loss of power, memory zeroing, calibration, standard sample and a reference sample values of the useful information is not lost. (9) Equipped with a standard RS232 interface, can communicate with computer software. The Weschler Instruments BG "TC", TriColor BarGraphs provide the quickest way to spot problems in your process control panels with bright changing colors. Each 50 segment LED (Light emitting diode) of the BG TC family has the ability to illuminate as Red (Danger), Yellow (Caution), or Green (Safe condition). The bar color identification can be changed by the user, from the front pushbuttons or through a tamper safe mode.The Weschler BG Series Circular BarGraphs consist of model 241, 261 and 281. 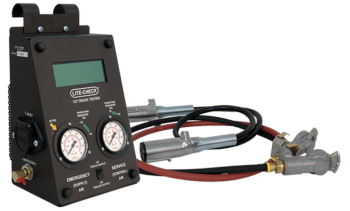 The panel footprint, shape and mounting meets direct retrofit applications for 4 1/2" and 8 3/4" switchboard meters, as well as 8" pressure gauge meters. The electronics housing remains the same. Quick identification of trouble conditions can help prevent equipment damage or production loss, thus reducing down time and maintenance costs, and improving operational safety. The fully programmable Weschler BG TC BarGraph™ fits the widest range of inputs and retrofits most edgewise switchboard and panel meters. Weschler's instruments satisfy the high quality standards set forth by the utility, OEM, and process control industries.